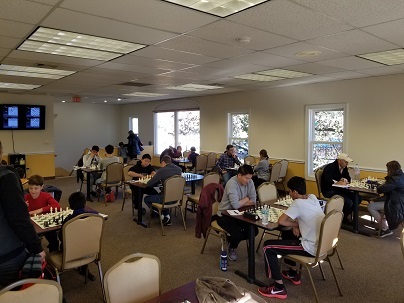 This Saturday’s G/45 Quads hosted 26 eager players. 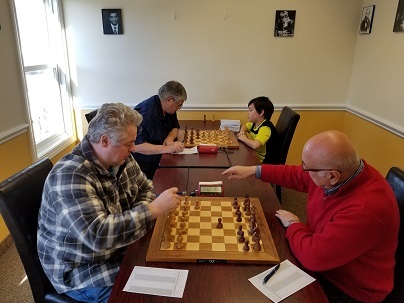 In quad one, FM Leif Pressman clinched first, winning all of his games. 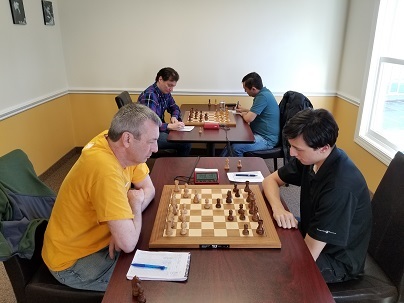 Andrew Dexter played flawlessly, winning three games and coming in first for quad two. Cayden Yang was the top player in quad three, with 2.5 out of 3 points. 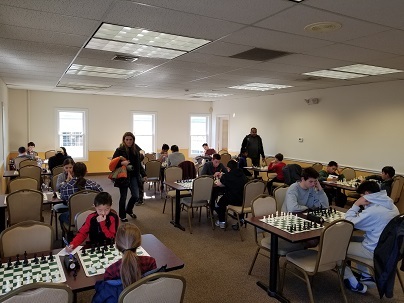 There was a tie in quad four; both Rohan Awasthi and Charles Woodruff won two of their games. Ben Persily ended the day undefeated, placing first in quad five. Finally, Michael Behringer won of his games in the bottom swiss; he finished first in that section.